Uh, M.? Didn’t you forget something? Don’t you want to be dipping these cupcakes in some sort of candy coating? Dunking in ganache and finishing with a generous shellacking of sprinkles? Alley-ooping into a bath of sugar and glazing with serious case of regret, early-stage cavities, and extra poundage?? Nope. That’s next week’s post. Seriously, all of the above have their own special place in both my heart and the canon of modern dessert artistry, but after a weekend of vacationing and indulging with A., I wanted to dial things back just a bit – does that ever happen to you? I mean, I didn’t want to relinquish my death grip on the sugar bowl – that’s just crazy talking crazy talk. But, thankfully for my teeth and my waistline, I actually found myself craving wholesome sweets that are still satisfying but maybe just a little bit less guilt-inducing. Most people don’t think of walnuts when they think of southwestern food, but the reality is that they are a part of this desert’s culinary landscape. I like them for their less aggressive flavor, and I love them paired with flax here for all kinds of satisfying crunch. But, again, we’re not engaging in any crazy talking crazy talk: there’s heaps of fluffy, canela-spiked cream cheese frosting to go on top of these lovelies. I mean, seriously, we have our standards, don’t we? Of course we do. Which is why we’ll be returning to our regularly scheduled candy-coated, chocolate-dipped, streusel-slathered programming in no time. 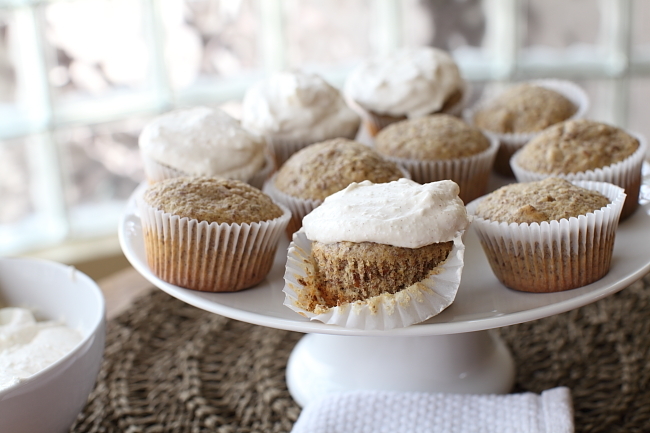 Chef’s Note: This frosting recipe yields quite a bit – I really wanted to top these cupcakes as generously as possible. The recipe can easily be halved, however, and the cupcakes topped less liberally if you prefer. 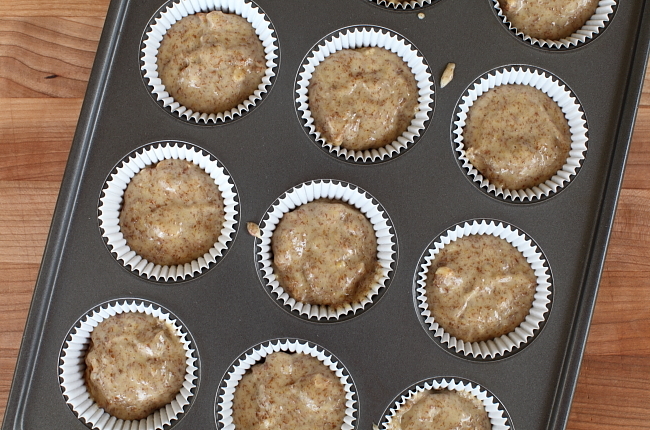 Line 15 of the cups of 2 standard (12-cup) muffin tins with paper liners. Set aside. 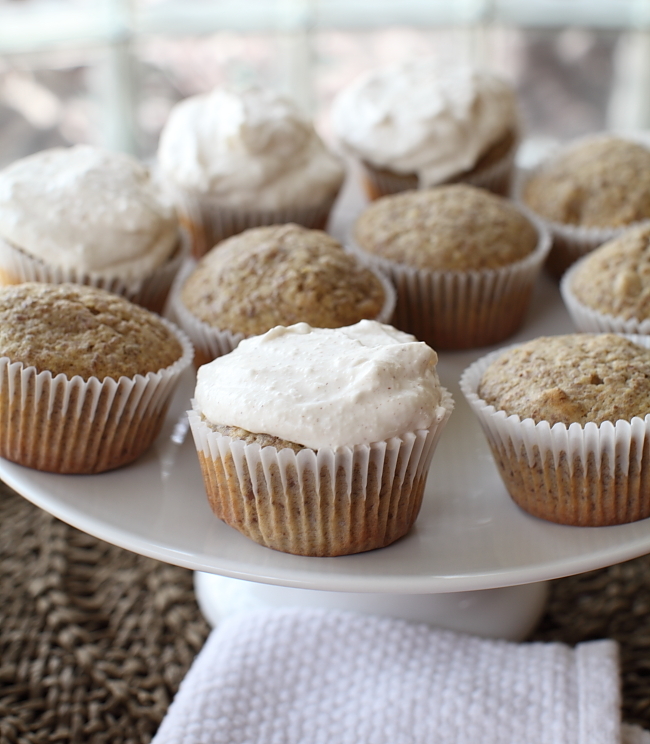 To prepare the cupcakes, whisk the flour, flax meal, baking powder and salt together in a large bowl and set aside. 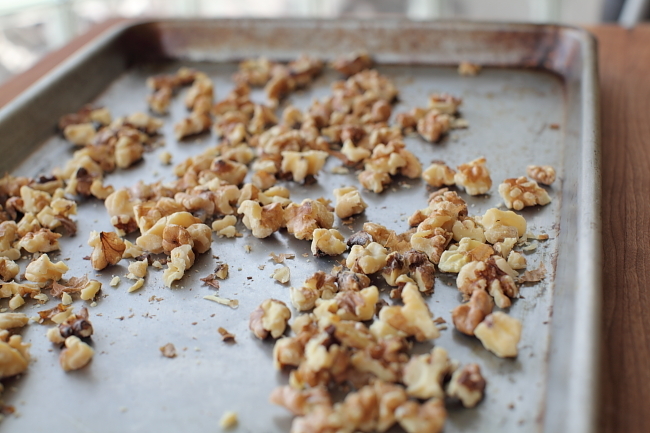 Spread the walnuts in an even layer on a rimmed baking sheet and bake for 5-7 minutes or until golden brown and fragrant. Set aside to cool slightly. Once cool enough to handle, rough chop and set aside. Meanwhile, cream the sugar and oil together in a large bowl. Mix in the vanilla extract and then the eggs, one at a time. Gradually mix in the dry ingredients, alternating with the buttermilk. Fold in the walnut pieces. Fill each prepared muffin cup approximately halfway full with batter (I used a 3-tablespoon scoop here, just to keep things even) and bake for 20-22 minutes or until a cake tester inserted in the center of one comes out clean. Set cupcakes aside to cool before frosting. To prepare the frosting, place the cream cheese, powdered sugar, milk and ground cinnamon together in the bowl of a stand mixer and mix on low speed just to combine. Once blended, adjust the mixer speed to high and whip until light and fluffy, approximately 2-3 minutes. Remove and frost cooled cupcakes generously. 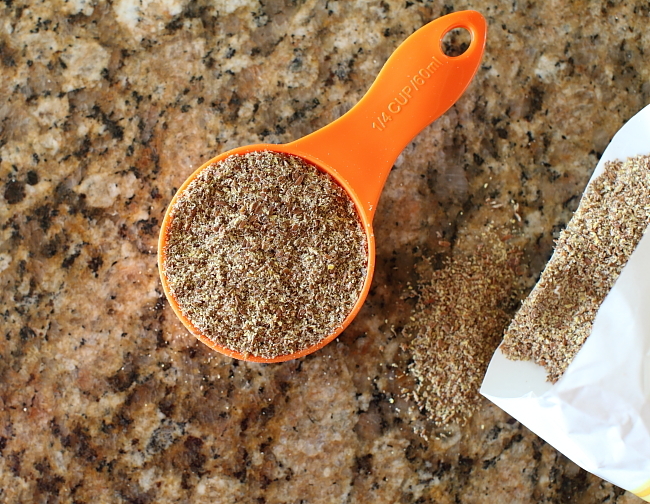 Serve immediately or store in a covered container for up to 4 days.